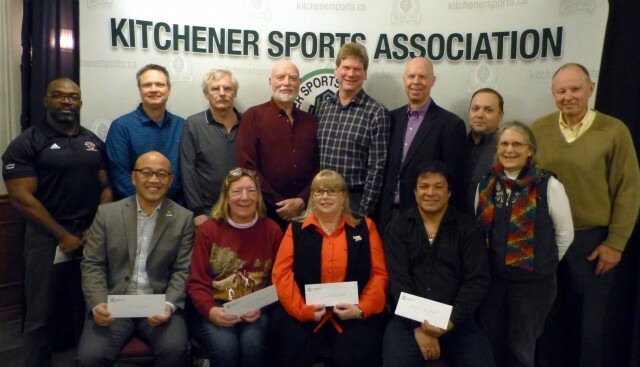 Updated Wednesday November 28, 2018 by Kitchener Sports Association. To assist in efforts to to ensure that more children have the opportunity to play, in the spring of 2013, KSA announced the establishment of a program to provide financial support to local minor sports groups offering registration fee subsidies. This initiative provides funding to local minor sports groups that either already have publicized formal fee-assistance programs in place or, plan to establish a formal fee-assistance program and promote it. To help participating groups publicize their willingness to accept registrations from those requiring financial assistance. To increase the overall pool of funds available for fee-assistance thereby increasing the number of registrants who otherwise would not be able to participate. ​​Please note: KSA’s funding will be provided directly to the sports organization and is meant to supplement (not replace) the sources* of assistance already available to individuals. (iv) enlist KSA’s assistance with the outstanding balance. A brief summary of the fee assistance your group provided last year including the number of participants helped and the subsidy total. A summary, after registrations are all in for the current session, of the total number of participants helped and a summary total of the four fee components. At this time, we are asking sports groups to indicate whether they'd like to be part of this initiative and reach out to ensure more children have the opportunity to play. We will follow-up with the groups interested in collaborating with us on this endeavour, request documentation on items (1) and (2) noted above, and then confirm acceptance into this KSA funding program. Let’s work together to ensure everyone has the opportunity to play. Participating Groups: To date, sports groups offering subsidized registration fees, in partnership with KSA, include: Kitchener Minor Baseball, Kitchener Minor Girls Softball, KW Minor Boys Softball, KW Water Polo, KW Youth Basketball, Stanley Park Optimist Ball, Forest Hill T-Ball, Sports for Special Athletes, Waterloo Regional Boxing Academy, KW Gymnastics and ROW Swim Club. KSA also supports Donna Weber's Sponsored Kids Program (Kitchener Minor Hockey) and Pride Stables (Ontario Developmental Riding Program). The invitation to partner with KSA is open to all the local groups as we endeavour to ensure everyone gets to play. Other sports organizations may also have their own fee-assistance programs - ask! * Sources of individual/family assistance could include (among others): OutReach (Region of Waterloo), Family & Children’s Services, City of Kitchener and/or City of Waterloo Leisure Access, Kidsport, Jump Start, etc.